Clone the repo, git clone git://github.com/uikit/uikit.git. You find the compiled UIkit distribution in its own repo. First of all, install Node. We use Gulp to build UIkit. If you haven’t used Gulp before, you need to install the gulp package as a global install. If you haven’t done so already, clone the UIkit git repo. 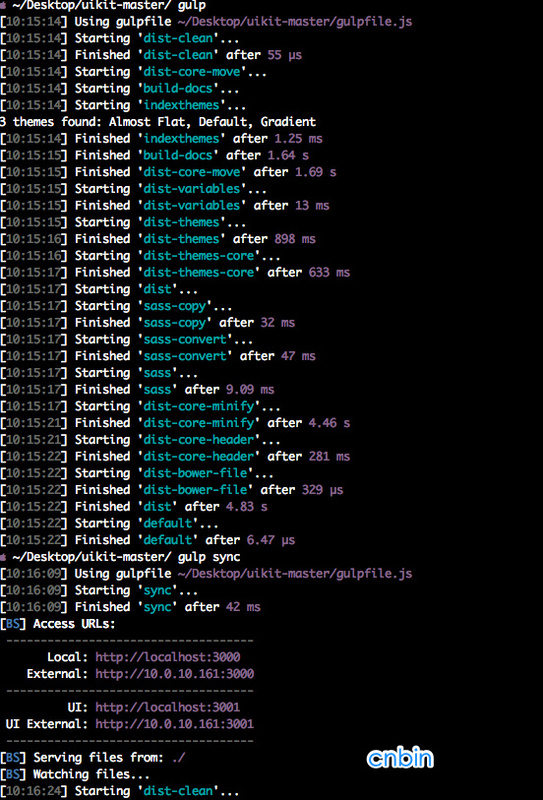 Run gulp to lint, build and minify the release. The built version of UIkit will be put in the /dist subdirectory. Pass a theme name parameter to only build the specified theme. 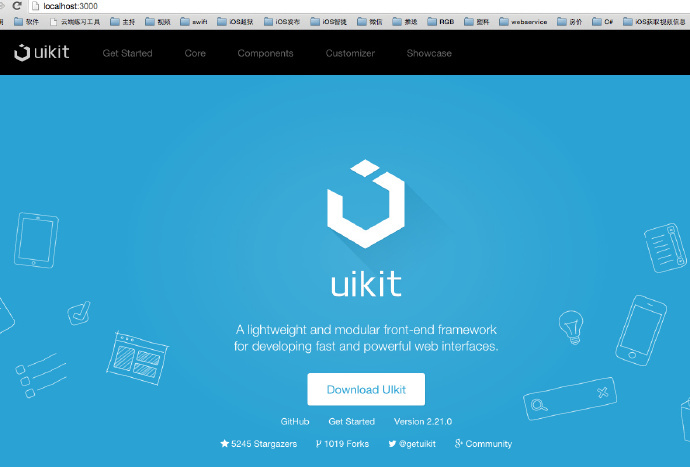 After running gulp sync a new browser instance will open, pointing to the uikit folder - http://localhost:3000/. The browser window will reload anytime you modify a source file. UIkit follows the GitFlow branching model. The master branch always reflects a production-ready state while the latest development is taking place in the develop branch. Each time you want to work on a fix or a new feature, create a new branch based on the develop branch: git checkout -b BRANCH_NAME develop. Only pull requests to the develop branch will be merged.